he U.S. Government Publishing Office (GPO) has initiated the eighth year of the record distribution process, titled the Cataloging Record Distribution Program. It will begin on October 1, 2018, and will run through September 30, 2019. Participation in the program includes 185 libraries, and currently, all slots are filled. 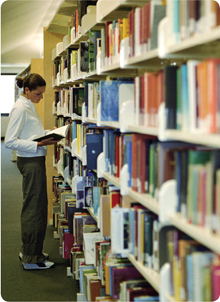 The main criteria to join the program is to be a depository library. It is also required to profile to receive at least 10 records a month, retrieve the files promptly and load them into the library’s online catalog and to participate in an annual survey. The openings fill up quickly! However, a few libraries do drop during the year for various reasons, so if your library is interested, please ask to be on the waiting list. There is a waiting list, so please contact either Kathy Beyer or Lara Flint at GPO. They can be reached at 202-512-1119 or by using the Outreach and Support Contact Form. Questions or comments about the project should be submitted to GPO using askGPO. Technical support is provided by MARCIVE. Existing CRDP libraries should contact MARCIVE with any questions about profiling, formatting, and receipt of files, as well as other technical concerns. You will need Adobe Acrobat Reader to view the Guide.